For several years, it appeared the role of the CIO had been eclipsed by others – CMO, CFO, chief digital officer – who looked to claim a greater role and say over what information technologies their enterprises would invest in, reports Enterprise Cloud News (Banking Technology‘s sister publication). It’s not so much over what specific IT products a business would buy, but how enterprises could address issues of innovation and change, especially in a world where competitors could use technology to make themselves much more competitive, much faster. It may be time for a CIO renaissance? 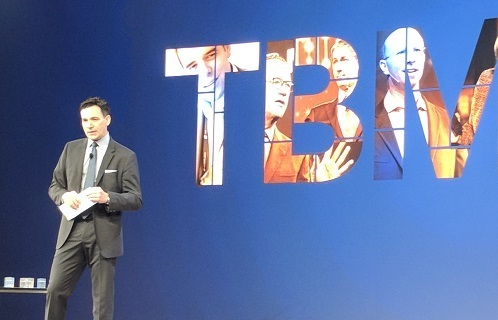 “The narrative existed is that CIOs could not keep pace with the business,” says Chris Pick, the president of the Technology Business Management (TBM) Council, which held its annual show this week in Las Vegas and advocates for CIOs to run IT more like a business and offers advice and best practices about how to make that happen. The non-profit TBM Council has its roots in the CIO advisory council for Apptio, which makes software that monitors and benchmarks IT spending – Pick works for Apptio as CMO – and has advocated for its 4,500 members to run IT more as a business, and to work with line of business (LoB) managers to create the right types of IT projects. There are three trends that Pick believes is driving much of this change. The first is putting more emphasis on the value of the products that are being produced and make them more service oriented. A second trend is focusing on agile development so that IT can keep up with the pace of the business. The third, and maybe the most important, is the cloud: understanding how the technology is changing business and how it delivers services to the enterprise, especially through Infrastructure-as-a-Service (IaaS) and Platform-as-a-Service (PaaS). “We want them to understand where the cloud is as far as a hybrid service and how the economics of it is changing and how that generates complexity,” Pick says. With all these changes, CIOs has tremendous influence over IT spending, which Apptio and Rubin Worldwide estimate in a report (released 7 November) is worth over $6 trillion worldwide when factoring in traditional information technology spending and supporting labour.